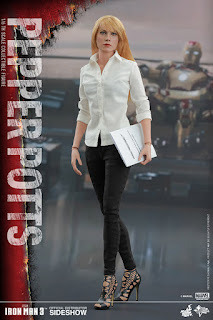 Hot Toys Pepper Potts will be joining the 1/6 scale universe and can finally join Tony and his massive inventions! 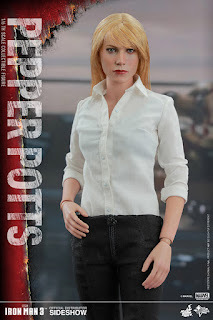 Check out official pics and details below and PreOrder yours on the link above! 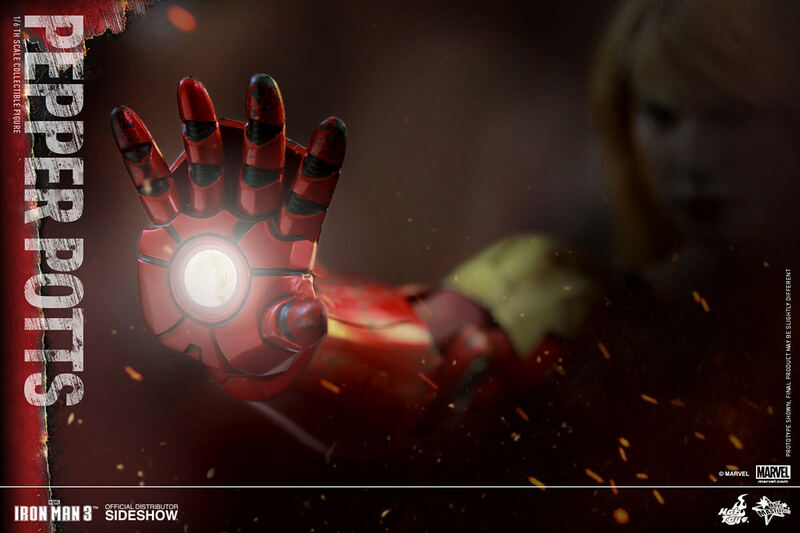 **Please note this is the single set version which does not come with Mark IX armor. The Double-set version can be found here! 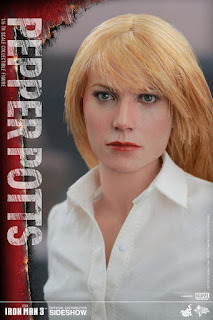 Throughout the Iron Man movie series, Pepper Potts has been a very important person in Tony Stark’s life. 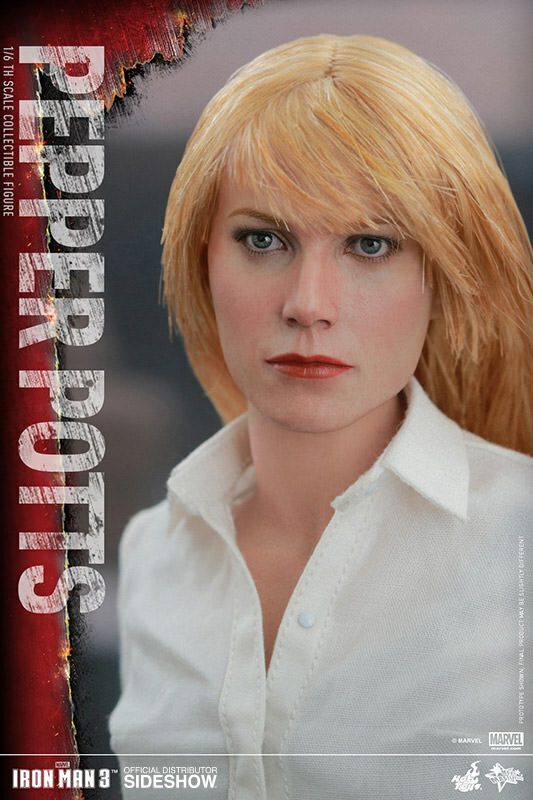 Tony's love interest and assistant, Pepper has helped assist Tony in the defeat of Obadiah Stane and Aldrich Killian. 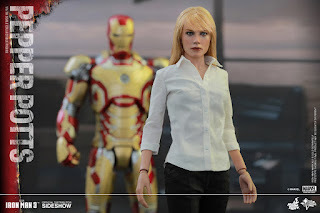 Pepper has been there with the genius billionaire during the most crucial moments in the film series. 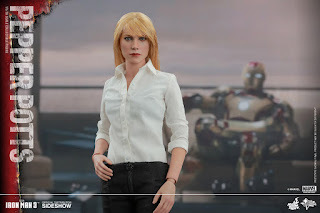 Fans have been waiting for a collectible figure of her and today Sideshow Collectibles and Hot Toys are delighted to officially reveal the Pepper Potts Sixth Scale Collectible Figure from Iron Man 3! 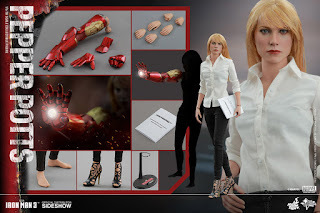 The movie-accurate collectible figure is specially crafted based on the image of Gwyneth Paltrow as Pepper Potts in the film featuring a newly developed head sculpt with long straight light reddish-blonde real fabric hair, a finely tailored costume, an interchangeable Iron Man Mark IX right arm with LED light-up function, and figure stand! 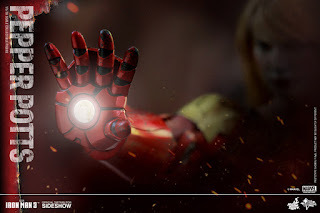 © 2015 Marvel© 2015 Hot Toys Limited. All Rights Reserved.